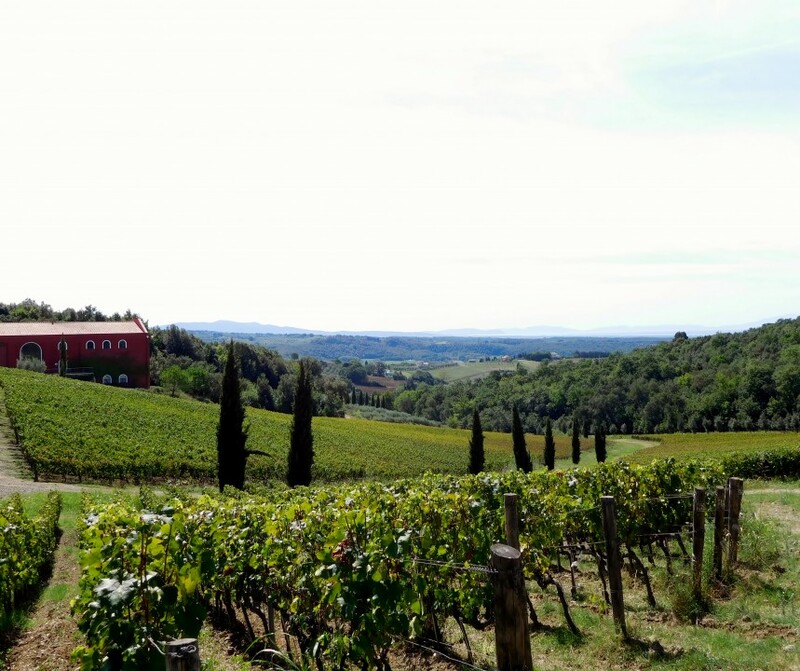 When you think of the great winemaking areas of Tuscany, the narrow strip of land near the tiny hamlet of Riparbella would probably not cross your mind. However, it’s here, in this “backroad of Tuscany” that the Val di Cecina lies; an area filled with rolling green hills, fields of lavender, verdant woods – the closest tourist destination being Volterra and only a short drive from the Mediterranean coast. It’s here where we find the pace setting fattoria Caiarossa. The name Caiarossa was derived, or created in homage to the soils on the estate which take on a distinctly reddish color. It’s a hybrid of sorts, inspired by Gaia, the Greek Mother of Gods from Mount Olympus. In fact, the Greek God of Wine and Nature, Doinysus, graces the labels of the estates wine. Production began in 1998 and has been organic and bio-dynamic ever since. However, in 2004 the estate was purchased by Eric Albada Jelgersma, owner of Chateau Giscours. It’s been a few years since I tasted with winemaker Dominque Genot at the Slow Wine Tasting, but his wines made an impression then, and I’ve been looking forward to catching up with him. Dominque has been at the helm since 2006 and worked in Bordeaux, California and New Zealand before settling at Caiarossa. 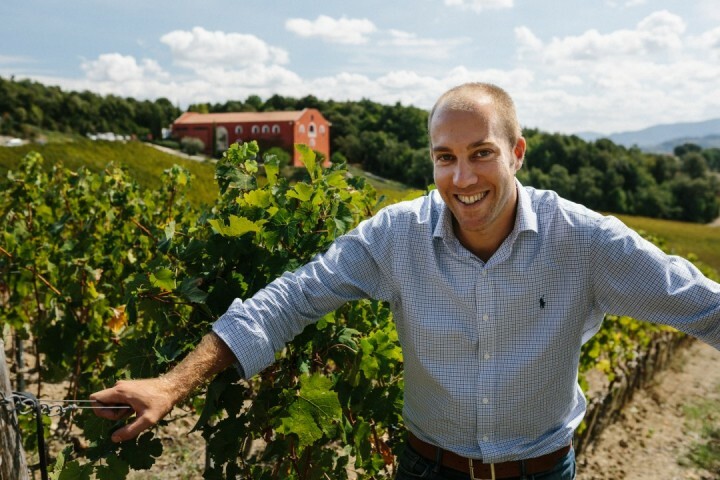 He’s passionate and energetic and one of the rising stars in Italian wine. 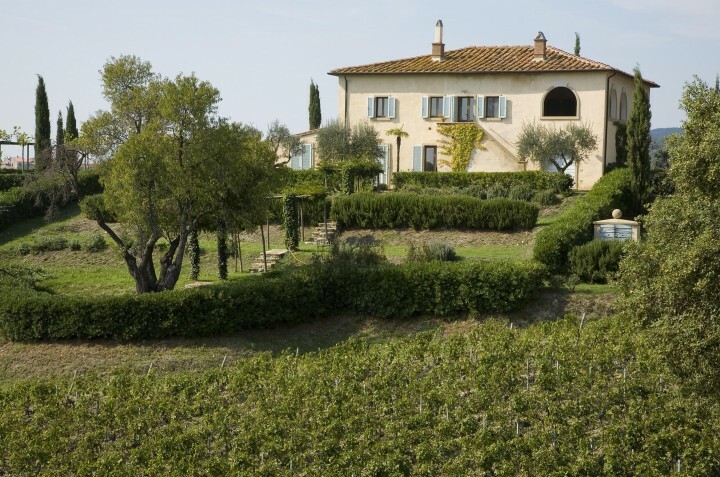 Caiarossa farms approximately 31 hectares of vineyards that exist on their 70 hectare estate. 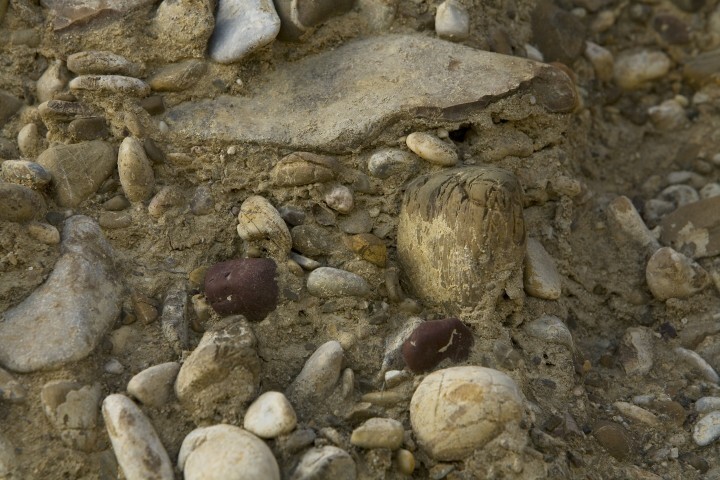 Over 10 different grape varieties are planted on the estate and the soil conditions and altitudes vary widely. Harvesting is done by hand, carried out in accordance with the phases of the moon and a completely holistic approach is central as it relates to vineyard management. In one of the more extreme biodynamic examples I’ve encountered; cow manure is stuffed into bull horns and then buried each Fall where it decays underground through the winter. 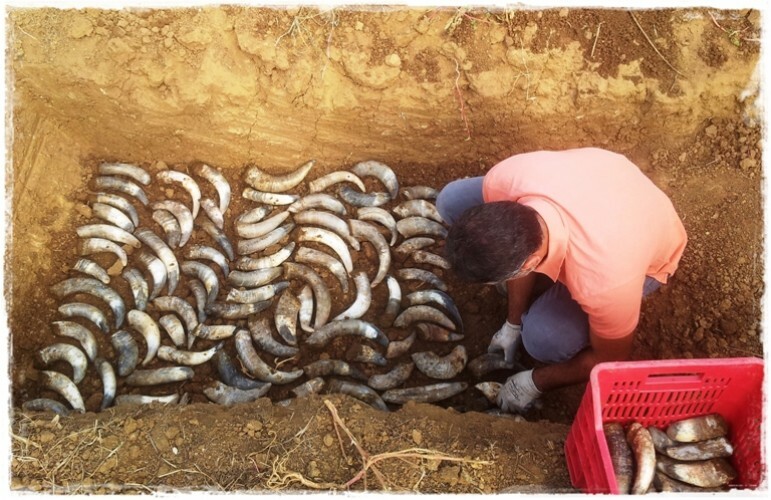 In the Spring, the horns are retrieved and the “hummus” that’s been created can then be sprayed sparingly over the vineyards. Caiarossa, in a nod to their Bordelaise roots, produces 4 red wines that are mostly blends of French grapes. 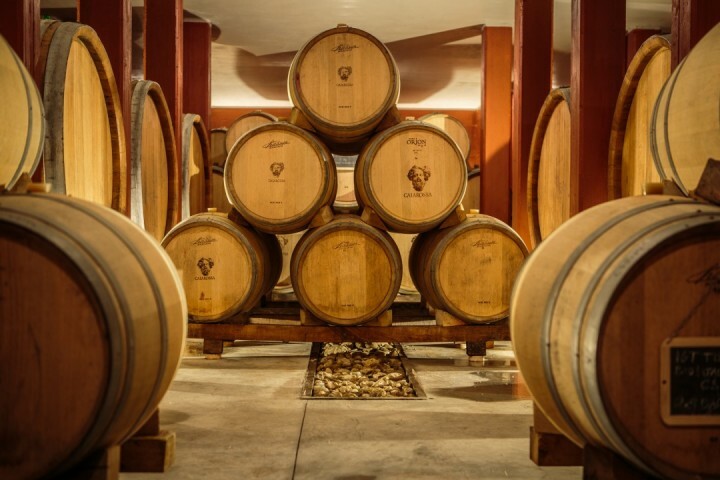 Today, we’re focusing on their most indigenous wine, Pergolaia. The 2010 Pergolaia is predominantly Sangiovese, with small amounts of Cabernet Franc, Cabernet Sauvignon and Merlot completing the blend. Minimal intervention results in fermentation in concrete vats and aging follows in a combination of cement tanks and old tonneaux for up to 14 months. The 2010 is deep ruby in the glass with an emanating violet core. The aromatics on the wine, at the moment, are a pleasing mixture of Sangiovese and Cabernet, it would seem. Crushed black plums are accented by leaf tobacco and anise. There are scents of lavender too, which dominates the plantings on the estate. On the palate, the wine is elegant and pure. There is little hint of anything imparted by wood. Red and black fruits are juicy and plentiful with eucalyptus, mint, and powdery clay like mineral forming a backdrop to the core of fruit. This is very nice and quite a good value. 90 points, about $21.